Tilts at an angle from the top or opens like a casement side ways. The tilt position for ventilation. Both operations take place with a single handle. Tilt & Turn Windows are Internal Openable windows that not only open to sideways but also tilt at a specific angle from top. 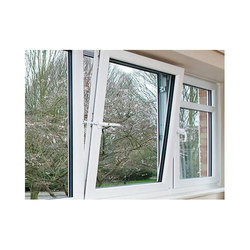 Tilt option provides proper ventilation while it avoids bird passing from the windows. 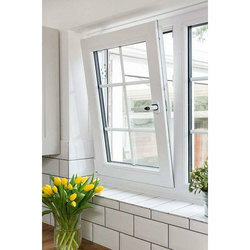 Tilt and turn windows give the best of both worlds versatility in function and simplicity of appearance. If ventilation is a requirement this is the best kind of window. For the diverse requirements of our clients, we are engaged in offering a wide range of Aluminum Tilt Turn Windows. All these products are well equipped and ensure long lasting service life. Latest equipment and modern machines are used while manufacturing these windows. We are offering these products at reasonable rates. Tilt & turn doors have been the standard in Germany and other European countries for more than 40 years. Tilt & turn doors combine functionality with security.